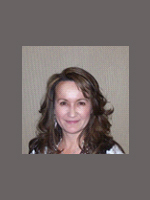 Lisa Bobadilla has worked in the San Ramon Valley for 23 years. She is currently the Transportation Division Manager, for the City of San Ramon. Prior to joining the City, she worked in the private sector serving as the Transportation Manager for Commuter Programs at AT&T (formerly Pacific Bell) Administrative Center in San Ramon. Lisa has a degree in Business Administration, completed Decker Communication program and has completed certificate programs in transportation planning, and transportation demand management. Today, Lisa is the City’s staff liaison to regional transportation planning agencies. She has responsibility for regional and local transportation planning and represents the San Ramon Valley on regional transportation planning committees. She oversees the sub-regional transportation demand management programs on behalf of San Ramon and 511 Contra Costa. She is responsible for the day-to-day oversight of San Ramon’s, Residential Traffic Calming program, public transit, traffic mitigation fee development, TRAFFIX, Safe Routes to School, and Street Smarts traffic safety educational programs for local neighborhoods and school sites. She provides staff support to the San Ramon Transportation Advisory Committee (San Ramon citizen-based advisory committee) and the Transportation Demand Management Advisory Committee, representing the San Ramon business community. She is a former board member of the East Bay Clean Cities Coalition Board of Directors, served on the Board of Directors for the Association of Commuter Transportation (ACT) Northern California Chapter and served on the San Ramon Chamber of Commerce Board of Directors from 1999 – 2003. She is also a 1999 graduate of LSRV and has been on the LSRV Board of Directors since 2010.